The neutron dripline has presently been reached only for the lightest nuclei up to the element oxygen. In this region of light neutron-rich nuclei, scattering experiments are feasible even for dripline nuclei by utilizing high-energy secondary beams produced by fragmentation. In the present article, reactions of high-energy radioactive beams will be exemplified using recent experimental results mainly derived from measurements of breakup reactions performed at the LAND and FRS facilities at GSI and at the S800 spectrometer at the NSCL. Nuclear and electromagnetically induced reactions allow probing different aspects of nuclear structure at the limits of stability related to the neutron-proton asymmetry and the weak binding close to the dripline. Properties of the valence-neutron wave functions are studied in the one-neutron knockout reaction, revealing the changes of shell structure when going from the beta-stability line to more asymmetric loosely bound neutron-rich systems. The vanishing of the N = 8 shell gap for neutron-rich systems like 11Li and 12Be, or the new closed N = 14, 16 shells for the oxygen isotopes are examples. The continuum of weakly bound nuclei and halo states can be studied by inelastic scattering. The dipole response, for instance, is found to change dramatically when going away from the valley of stability. 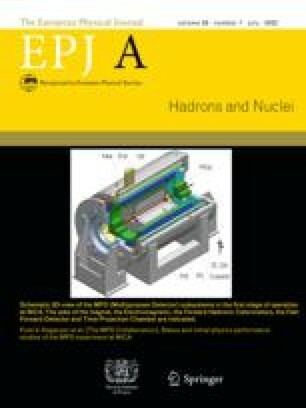 A redistribution of the dipole strength towards lower excitation energies is observed for neutron-rich nuclei, which partly might be due to a new collective excitation mode related to the neutron-proton asymmetry. Halo nuclei, in particular, show strong dipole transitions to the continuum at the threshold, being directly related to the ground-state properties of the projectile. Finally, an outlook on future experimental prospects is given.